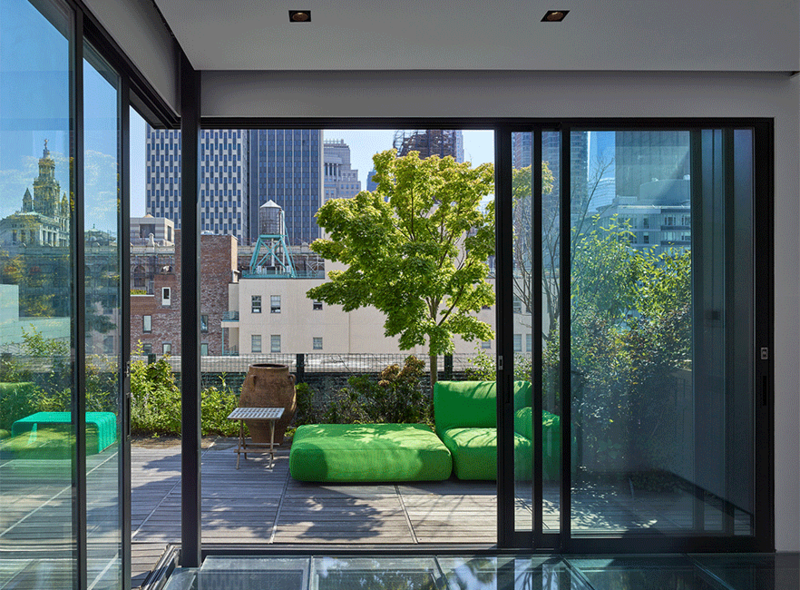 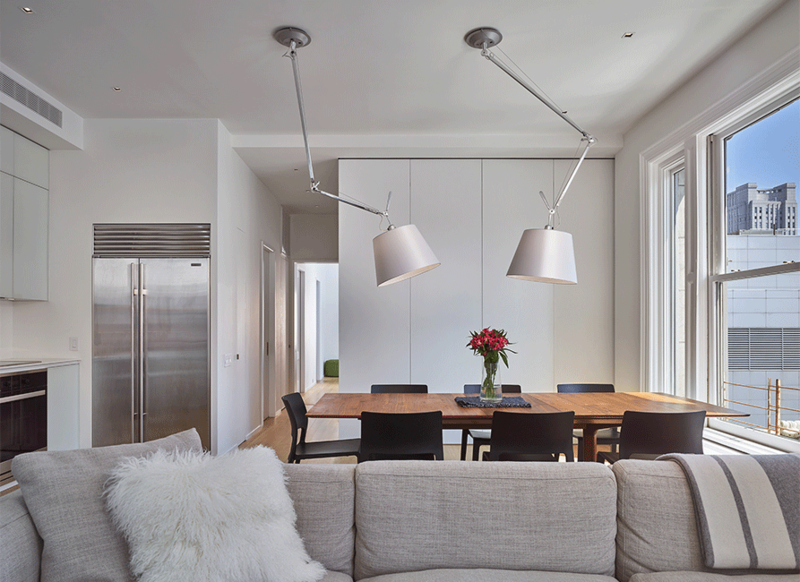 Murdock Solon Architects were asked to completely renovate a 1 bedroom, 2 bathroom penthouse apartment in Tribeca. 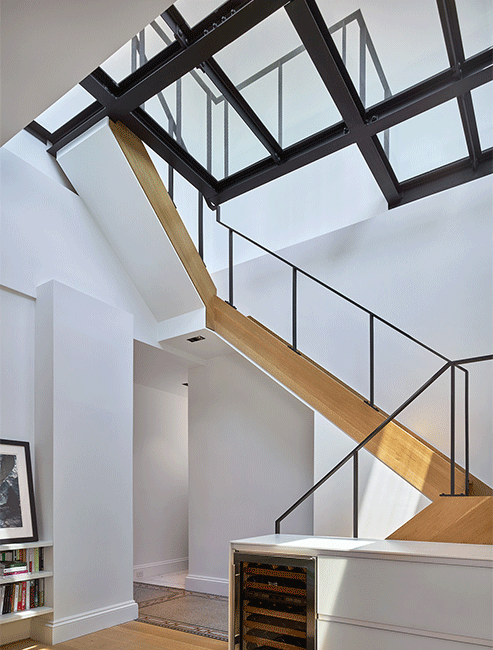 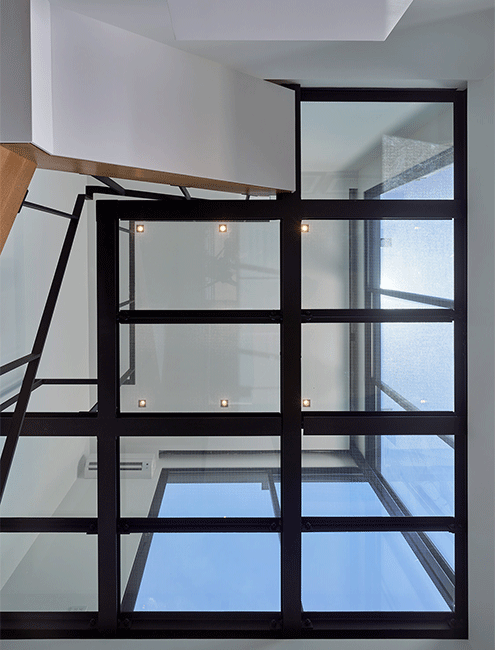 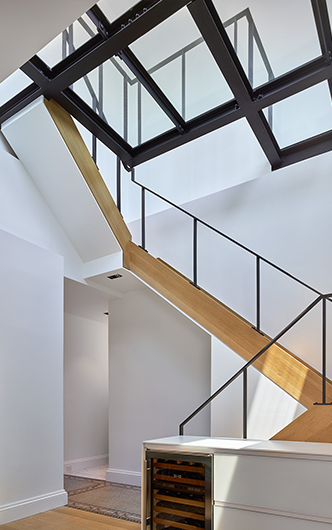 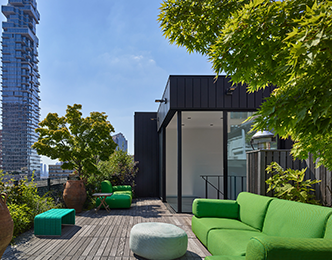 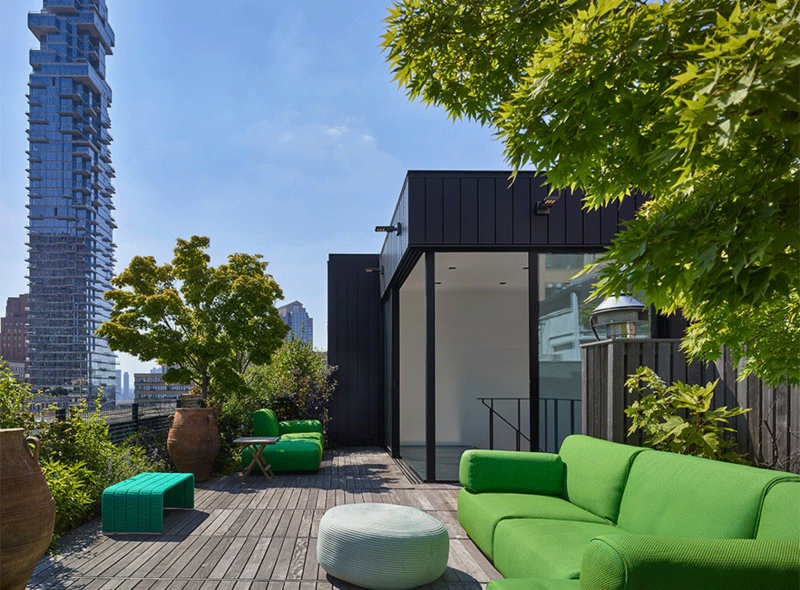 The primary intervention was the construction of an enlarged roof bulkhead, complete with large sliding doors and a glass floor, which floods the living space below with dramatic natural light. 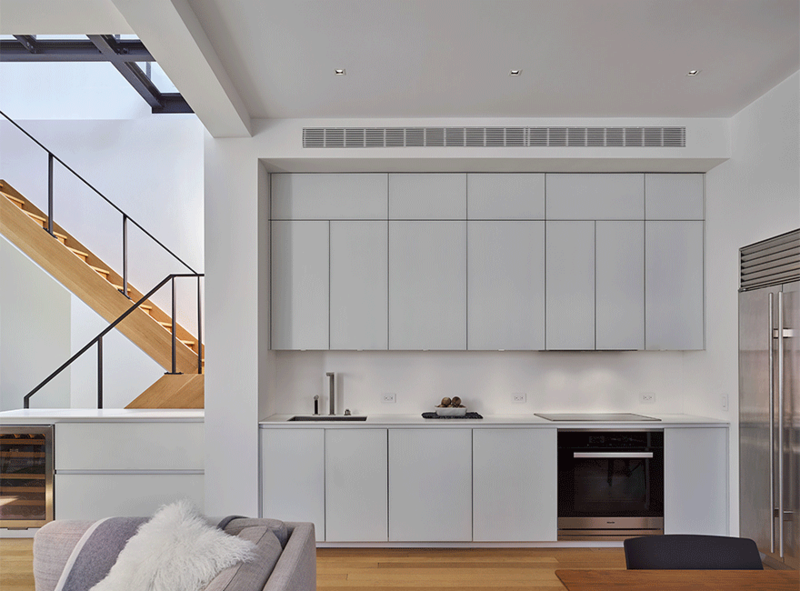 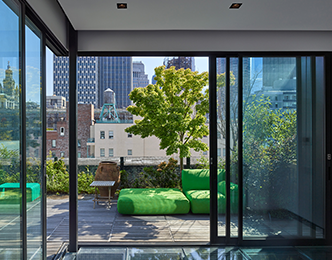 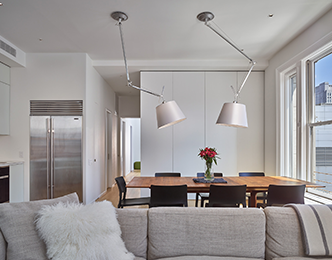 Murdock Solon Architects was asked to completely renovate a 1-bedroom, 2-bathroom penthouse apartment in Tribeca. 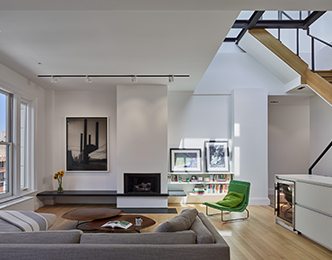 The primary intervention was the construction of an enlarged roof bulkhead, complete with large sliding doors and a glass floor, which floods the living space below with dramatic natural light. 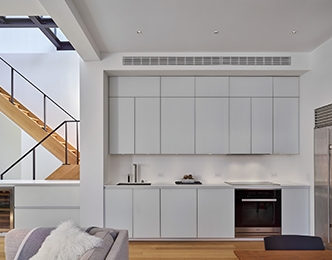 Clean, white finishes combined with natural wood tones help create a warm, light-filled space. 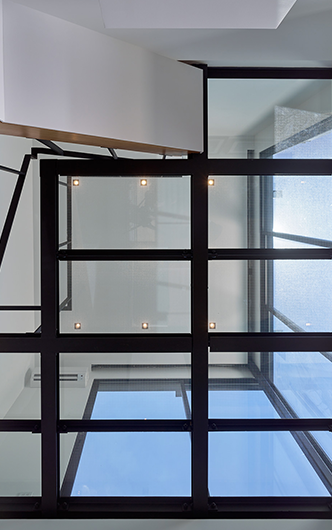 Flexible partitions allow for guest accommodation while maintaining an open sequence of living spaces during normal use.